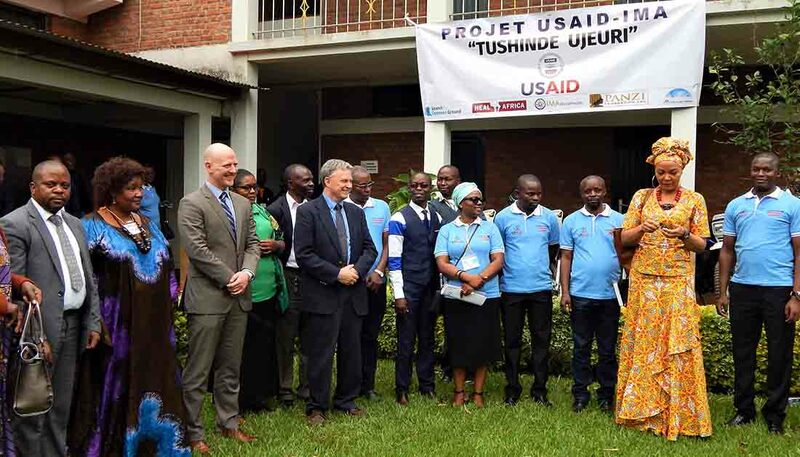 IMA World Health is the lead implementer of the USAID-funded Tushinde Ujeuri: Comprehensive Services to Address GBV Project in Eastern Congo. The program is made possible by the generosity of the American people. 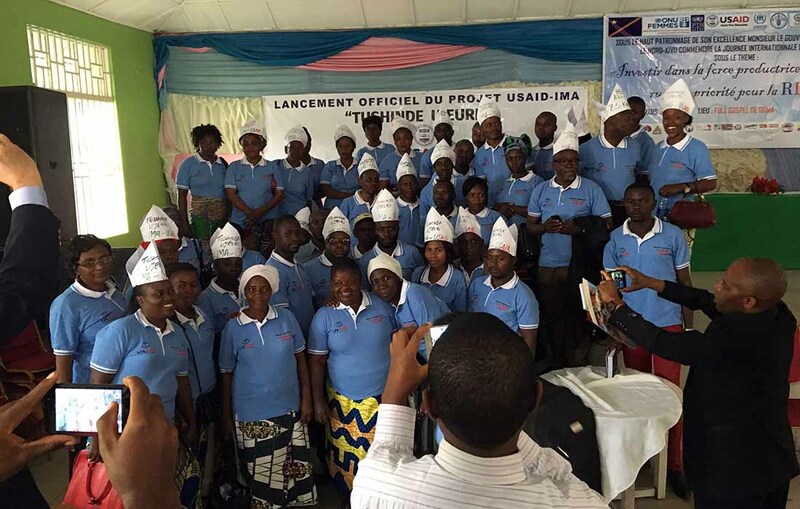 MA World Health and the U.S. Agency for International Development celebrated the official launch of a new comprehensive program that will work to prevent and respond to gender-based violence in the Democratic Republic of Congo. Events to mark the occasion were held in Bukavu in the South Kivu Province and Goma in the North Kivu Province. 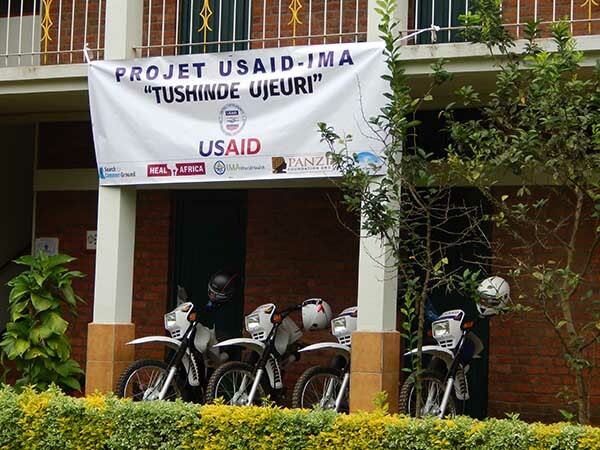 Tushinde Ujeuri builds on the highly successful USAID Ushindi Project, through which IMA provided SGBV prevention and response activities in highest risk areas of Eastern Congo. Ushindi directly assisted nearly 30,000 survivors of SGBV from 2010 to 2017. USAID sent a delegation of five people to the kickoff in Bukavu, including Deputy Director Scott Hocklander, who gave the welcome address. Four provincial ministers from the DRC’s Government also attended. 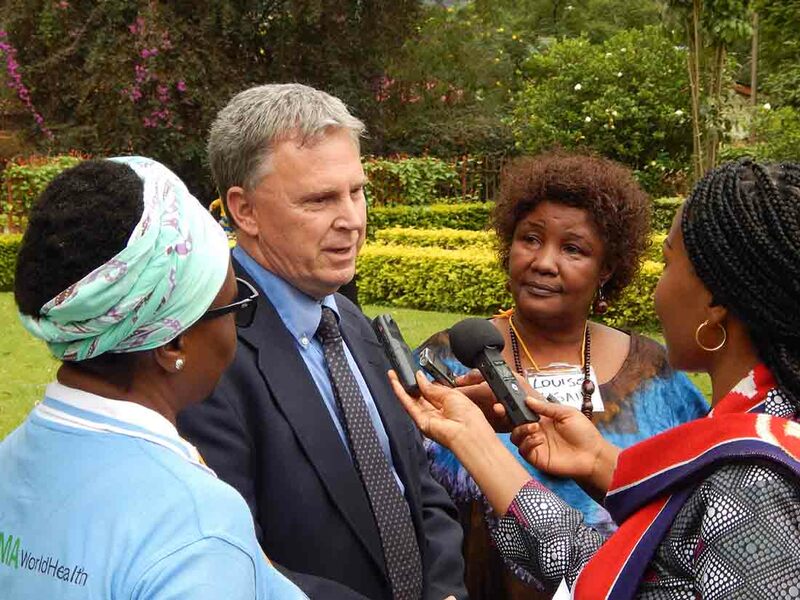 Chief of Party Dr. William Clemmer, center, makes comments during the event in Bukavu. Clemmer has lived and served in post-conflict countries such as the Democratic Republic of Congo and South Sudan for more than 26 years in affiliation with IMA World Health. The Tushinde team celebrates the launch of the project in Goma in the North Kivu Province. 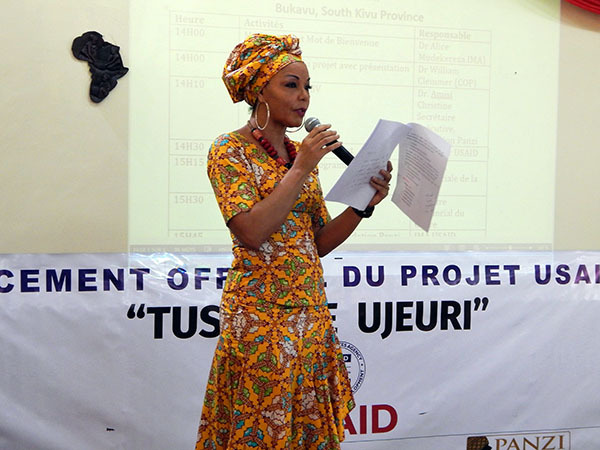 The launch in Goma took place on March 8, coinciding with International Women's Day. 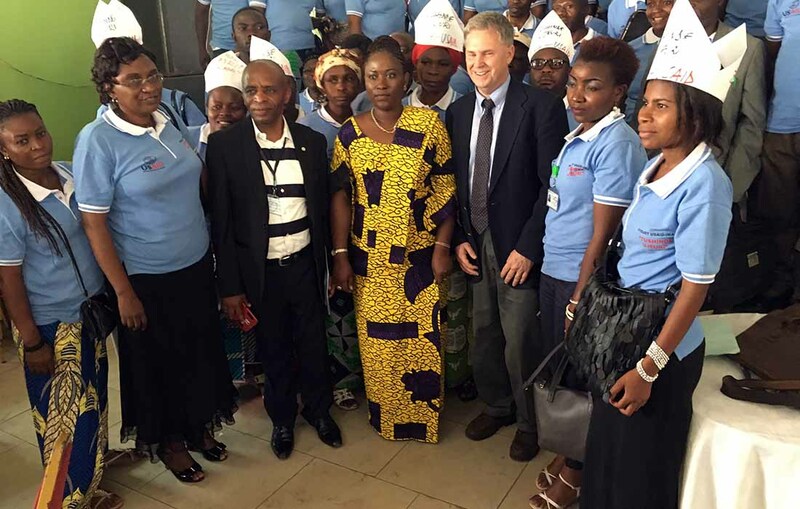 Dr. Clemmer joined DRC's Minister of Gender during the Goma launch. 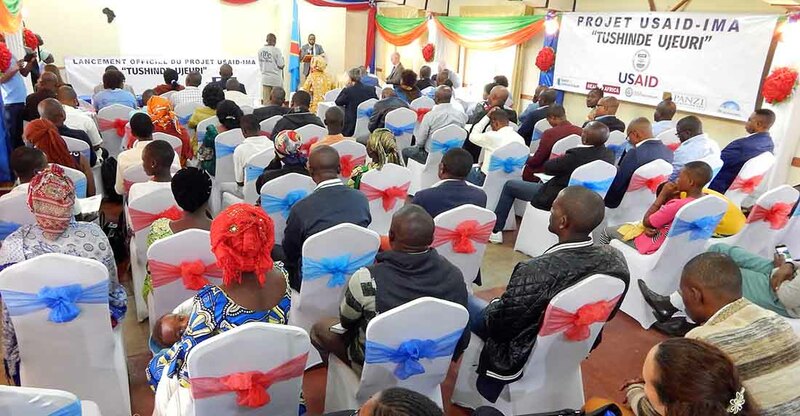 More than 120 people attended the kickoff in Bukavu, including USAID partners. Christine Schuler Deschryver, one of Eastern Congo’s most outspoken critics of the war and the toll it’s taken on women, gave an emotional speech about the impact of the USAID Ushindi program in DRC and the need for much more to be done. The event also included handing over four motorcycles to Panzi Foundation. Vehicles for the Tushinde project are en route from Japan. 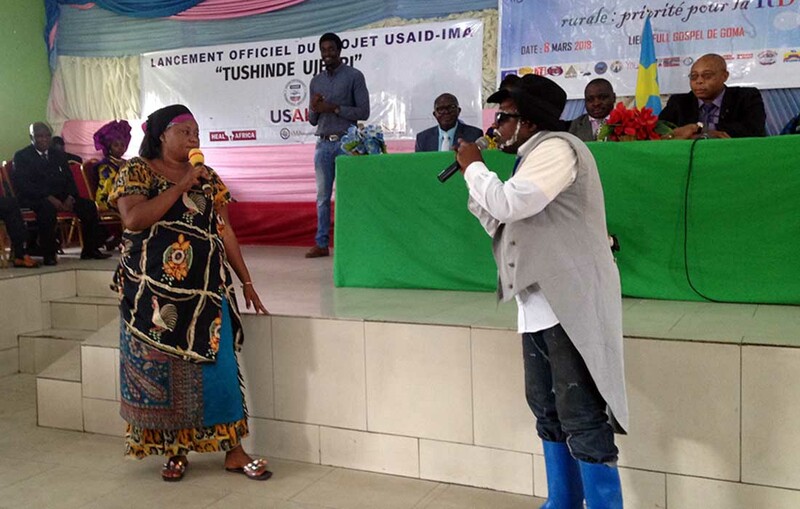 IMA World Health implements the Tushinde Ujeuri: Comprehensive Services to Address GBV Project in Eastern Congo program in partnership with a consortium of technical and implementing partners. HEAL Africa leads implementation in two health zones in North Kivu (Walikale and Karisimbi) while Panzi Foundation leads implementation in three health zones in South Kivu (Bunyakari, Katana, and Nyangezi). The American Bar Association-Rule of Law Initiative (ABA-ROLI), Search for Common Ground, University of Washington, Johns Hopkins University, and Overseas Strategic Consulting, Ltd. provide specialized technical assistance. The program is made possible by the generosity of the American people.